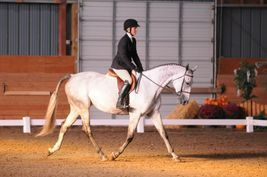 King's Ransom is a registered and approved Irish Draught Sport Horse stallion; Registered and approved by the IDHSNA, registered and approved with the IDHSCA and registered and approved as a "Bronze Premium" Canadian Sport Horse Stallion (2001). 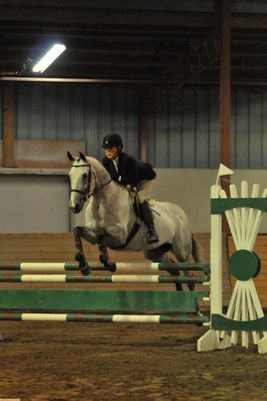 King's Ransom has a wonderful temperament, balanced canter and powerful jump. 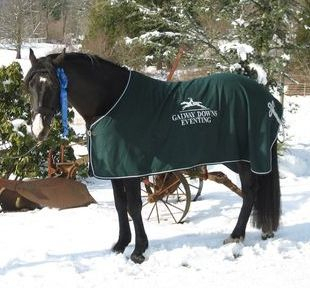 He is the winner of the Canadian Sport Horse Association, BC Division 2000 Lieutenant Governor's Cup. 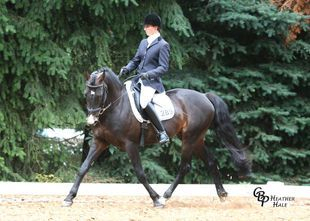 At his Canadian Sport Horse stallion inspection, King's Ransom scored 8/10 for conformation, movement, strength, type, quality and substance, with an overall high score of 79.5%. King's Ransom won multiple conformation classes in hand as a young stallion. He is very correct, with power from behind and a good mind. 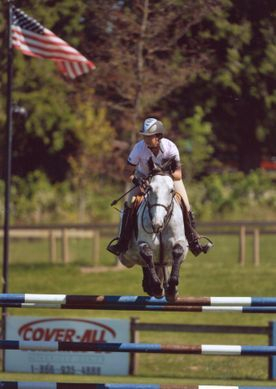 In 2006, King's Ransom had a great show season, placing at Thunderbird Showpark and Spruce Meadows, as well as competing successfully in eventing, winning the OT at Galway Downs 3 day event in California. 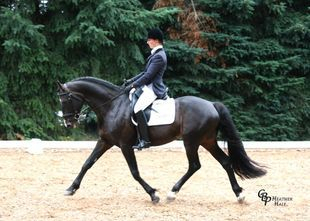 In 2007 he competed at 2nd Level in dressage with scores in the high 60's. 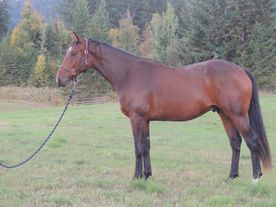 Although his show career was short, King's Ransom did retire to stud sound in 2008. King's Ransom's foals are inheriting the ability and good temperaments characteristic of the bloodline. 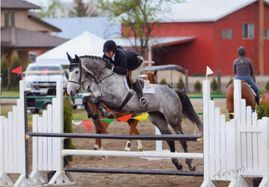 His sire, Flagmount King competed successfully in International Grand Prix jumping and is one of the most consistent producers of show jumpers from the sons of King of Diamonds. Flagmount King is known for producing refined horses with kind dispositions and good jumping ability. King's Ransom's grandsire, King of Diamonds, is described in 'The Irish Draught Horse' by Alex Fell as 'the single best known Irish Draught of modern times'. He has been described as the saviour of the Irish Draught as a breed, as a result of his prepotent jumping ability. King of Diamonds is ranked 21st in the World Breeding Rankings for the period 1992 - 2001. King of Diamonds was by Errigal, a son of Silvermines, which was the Irish Draught side of his parentage. His dam Ruby was by True Boy, a halfbred sire who traces to Kildare, a well known Irish Draught stallion at the beginning of the century. The grand dam was the Thoroughbred mare Biddens. King of Diamonds was a jumper in his own right. When King of Diamonds died in 1991 at the age of 29 he had eleven stallion sons on the Irish Horse Register and two grandsons. Four years later his descendant stallions numbered over forty. King's Ransom carries strong TB bloodlines from his dam. K RS Melanie carries the blood of Nearco from both her sire and dam sides. K RS Melanie's sire, Kennedy Road’s dam, Nearis, is granddaughter of Nearco and great granddaughter of Hyperion. K RS Melanie's dam, Bobs Maggie is by Africanus who is by Swaps, a grandson of Hyperion.